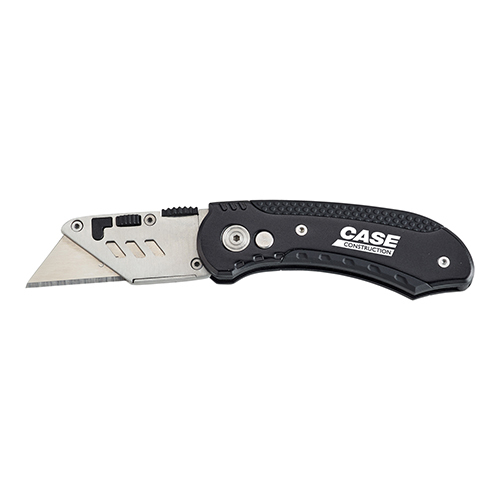 3 3/4” closed.Heavy duty, high quality box cutter. Essential tool for all trades. Comes with clip. Laser engraved. Boxed / 25 lbs / 60 pcs.